Building on the momentum that Square, GroupOn and PayPal are enjoying from their mobile payment services for businesses in North America, O2 has today debuted its new Mobile Point of Sale service (mPOS), teaming up with Visa Europe and Global Payments to bring mobile payment capabilities to smaller businesses in the UK. O2’s new mobile payment service supports Visa, MasterCard or Maestro cards (with Amex coming in the near future), allowing businesses to connect a low-cost PINpad chip and pin pad accessory to a smartphone or tablet via a Bluetooth connection. Currently, it supports Android and BlackBerry devices — via O2’s free eMerit app — but the company promises a iOS-compatible version soon. 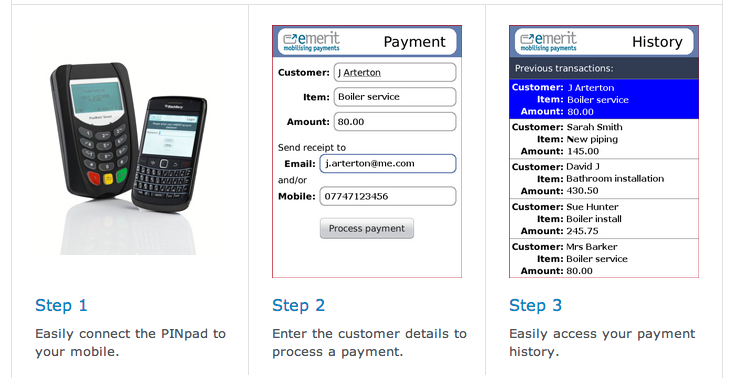 When downloaded, the eMerit app manages the mobile transaction on behalf of the retailer, automatically sending the customer a receipt via email or SMS, should it be required. Payments work over WiFi or any mobile data network, regardless of carrier. To take advantage of the service, businesses need to have a Android device running Android 2.1 or above, or a BlackBerry device with OS 4.1 or above installed. All of the official stuff is handled by O2’s partner, Global Payments, who processes the application and supplies the equipment (more here). The PINpad can be purchased for £150 upfront or £15 per month for 12 months. Once purchased, the business only has to pay for the transactions that it processes, which are set at 2.95% for credit cards and £0.75 for debit cards. To process a payment, a retailer enters the amount that will be charged and the customer’s email or phone number (if they want a receipt). Then its a case of entering the card, and taking the payment like on any other card processing terminal. 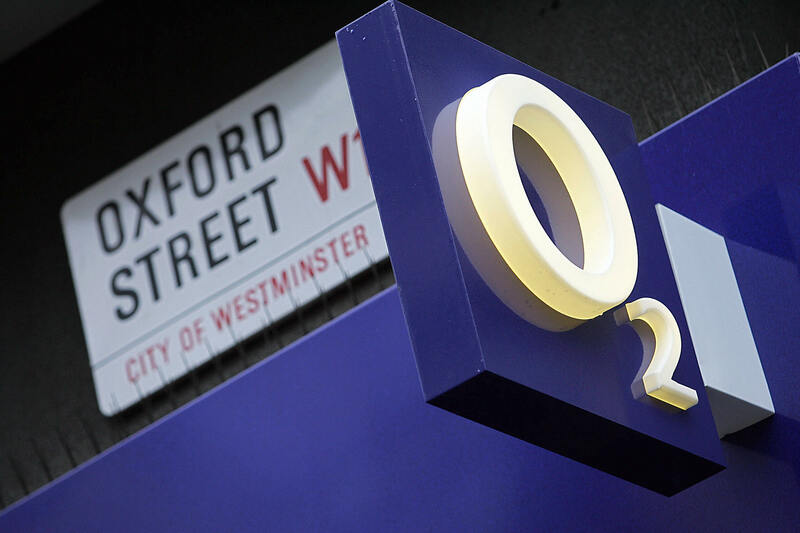 When it comes to mobile commerce, it’s not the first venture O2 is backing. It has already invested in a joint-venture with EE and Vodafone, to launch a new NFC payment service and advertising network that will provide brands and businesses with access to their 37 million mobile subscribers via a number of targeted services. O2 appears to be ensuring that it can cover all bases when it comes to mobile payments, putting weight behind traditional chip-and-PIN services as well as NFC transactions. The new Mobile Point of Sale service gives businesses a simple way to use their existing equipment, allowing them to concentrate on the actual business of taking payments.